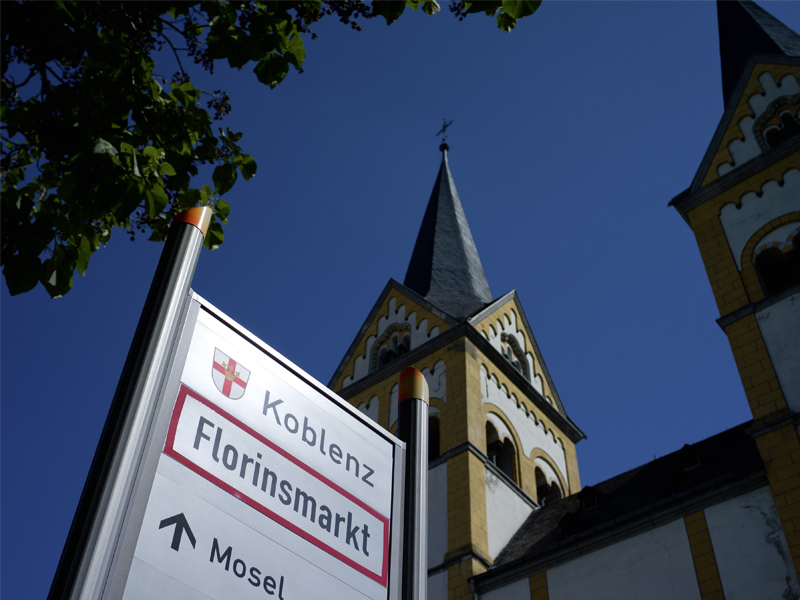 In olden times, the Florinsmarkt (St. Florin’s market) was the political and business centre of Koblenz. 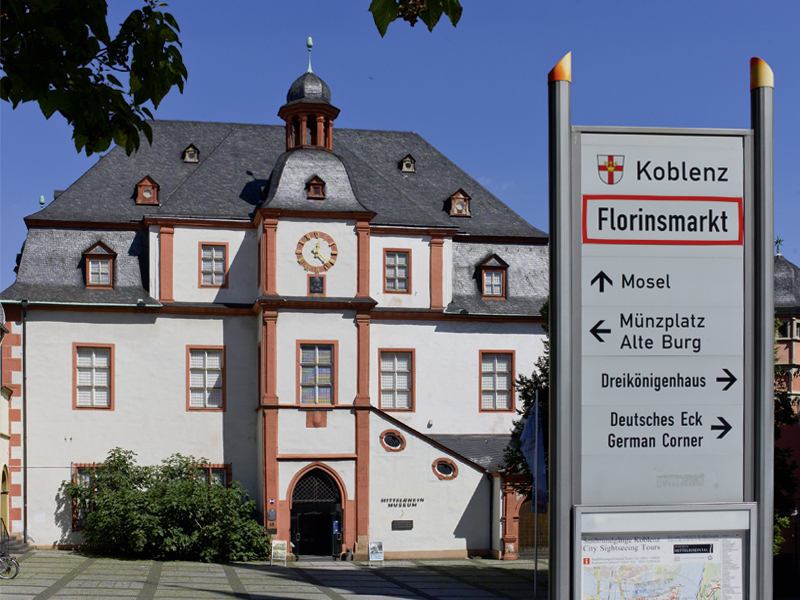 It owes its name to St. Florin’s church, which, together with the old “Kauf und Danzhaus” (store and dance hall), the Schöffenhaus and the Bürresheimer Hof make up an ensemble of four historic buildings which are one of the most beautiful groups of buildings in the city. 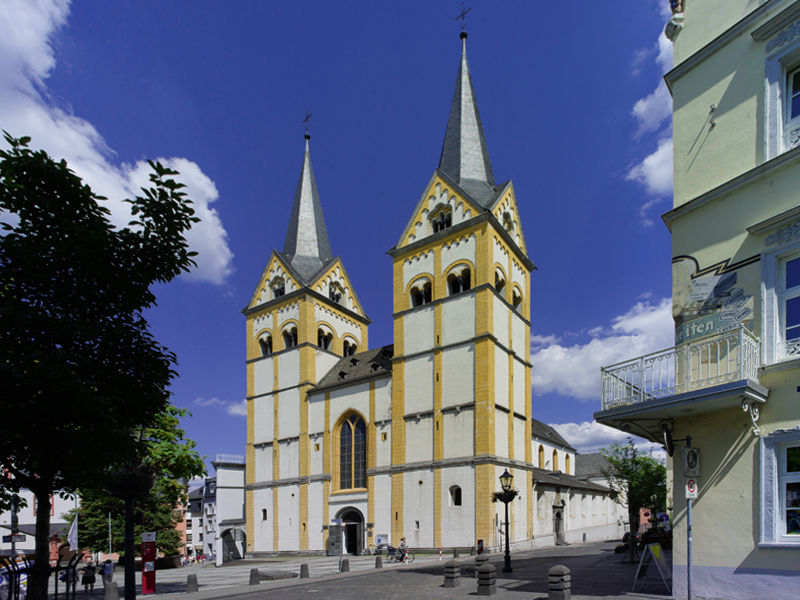 The old “Kauf und Danzhaus” was built in 1419 in the Gothic style and rebuilt in the 17th/18th century. This is when it got its baroque elements. 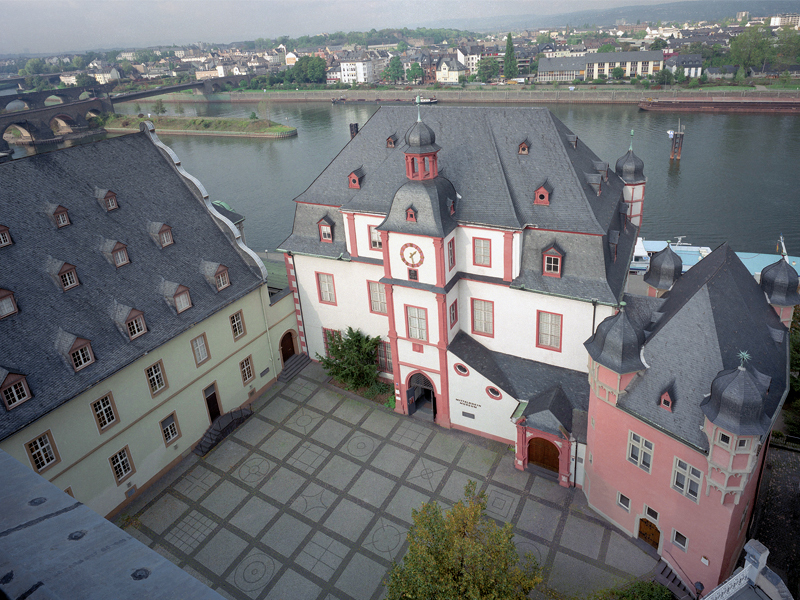 Merchants whose ships lay on the banks of the Moselle offered their goods for sale in the basement, whilst the other floors were used to hold meetings and celebrate festivals. The “Augenroller” can be seen under the clock tower built in 1724; its eyes move to the beat of the clock pendulum and its tongue sticks out every full or half hour. The gothic Schöffenhaus was constructed right next to the old Kaufhaus in 1530. This is where the jury of the city court met, their task being to watch over the coins and weights. 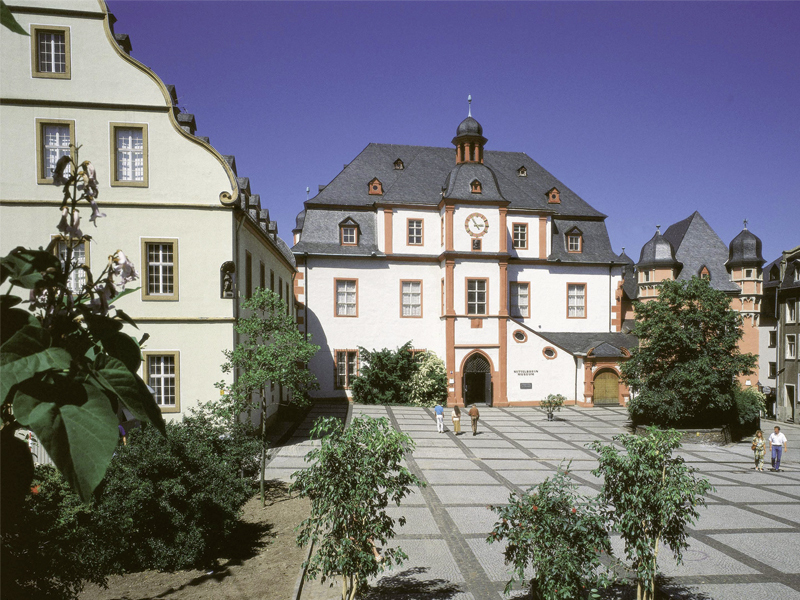 The city’s stocks stood outside the Schöffenhaus until the 18th century. The house was destroyed in the war but was reconstructed in 1965. To the left of the old Kaufhaus is the Bürresheimer Hof, constructed in 1659 and which owes its name to its former owners (1714), the Breitbach-Bürresheim family.